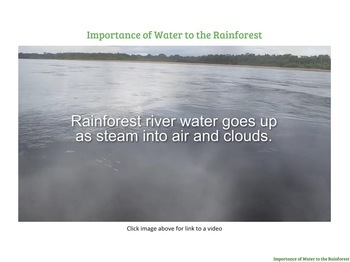 Students read text and view rich, authentic media as they learn about the water cycle and why water is important in the rainforest. The lesson pack contains 11 pages and was written for grade 2 students but is also appropriate for students in grades 1 and 3. 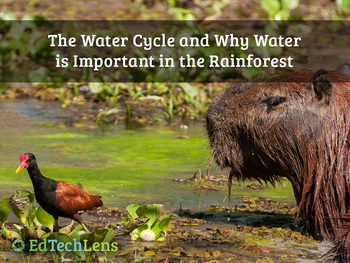 This lesson typically takes 2 sessions to teach. The number of sessions depends on depth of study, completion of assessment, and amount of session time devoted to class discussion. The content and media have been designed to encourage class discussion. This recommendation is based on an estimate of 30 minutes per lesson for grades K-2 and 40 minutes for grades 3-5.